Corey Goode, a secret space program insider, and whistleblower, recently posted a report revealing some startling revelations. 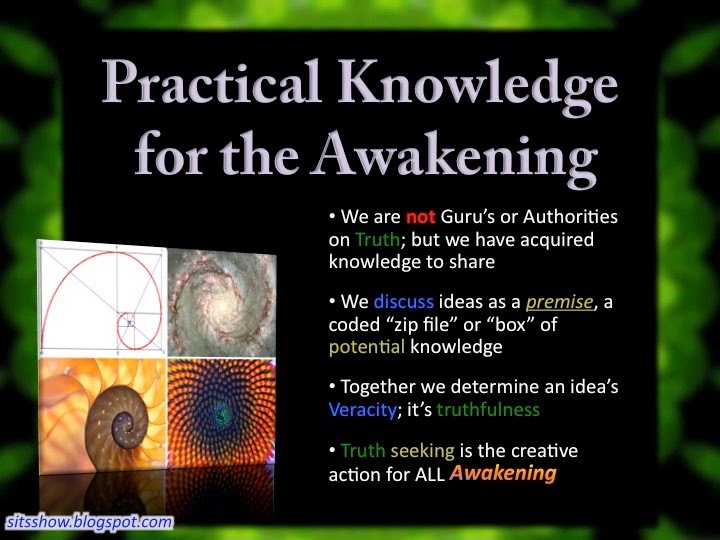 The following is a summary of some of those points by Dr. Michael Salla, as well as a short analysis of corresponding connections to related works such as the Law of One and the Emerald Tablets of Thoth. Amongst one the more sensational points offered is that the Inner Earth groups met with the Sphere Being Alliance, who they call the "Guardians," and who the secret space program refers to as the Ancient Builder race. 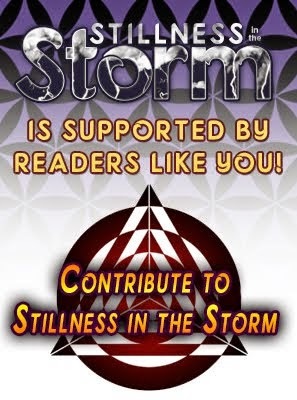 Heretofore, it was not clear whether or not the Ancient builder race had any connection to the Sphere beings first encountered by the secret space program in the late 1980's. In a previous Cosmic Disclosure episode, David Wilcock and Corey Goode discuss remnants of highly advanced technology left throughout the solar system, apparently by a race of beings that took it upon themselves to leave these artifacts for a specific purpose. Apparently the Ancient Builder race did this to help lift evolving races out of the pitfalls of materialism and bellicosity, to one day join the ranks of spiritualized races in the cosmos. 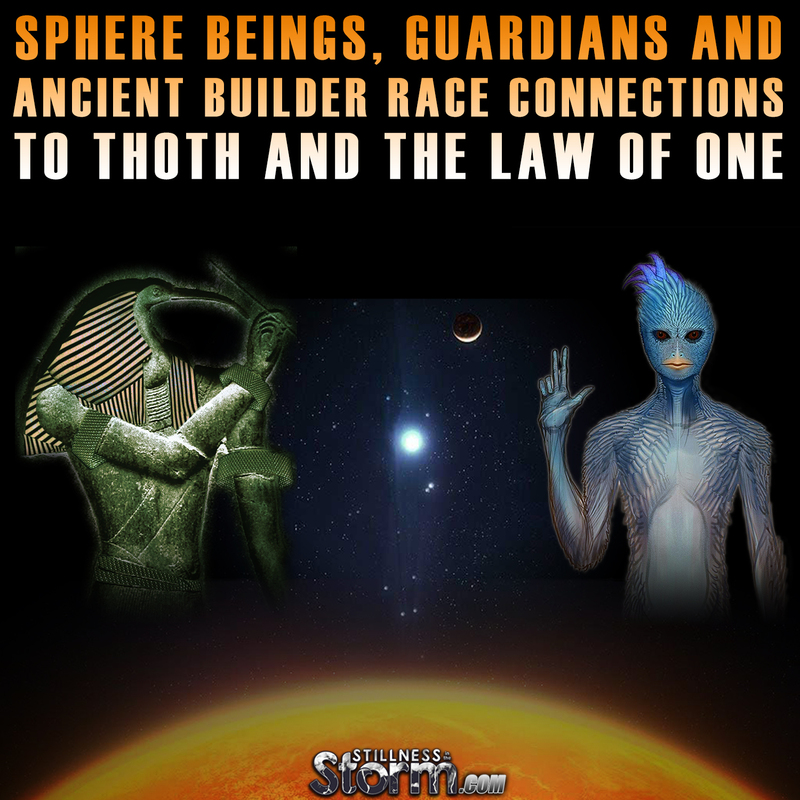 Now that the connection between the Sphere beings, the Ancient Builder race, and the Guardians is firmly in place, other works that describe similar beings can be discussed. Is 'Earth's youth' a reference to these ancient breakaway civilizations, which claim to be millions of years old? This is one section amongst many that describe 'dwelling places' under the Earth's crust. Thoth also claims to have approached the peoples of Khem, which is now Egypt. These items and many more correspond to the Law of One material and it's narrative describing the brothers and sisters of sorrow. All these points, and many more that remain unrevealed, suggest that the Emerald Tablets, Law of One Material and the Ancient Builder race or Guardians could be one in the same. At the very least, their efforts seem to be enshrouded by the same high spiritual goal. As one final point on the Emerald Tablets of Thoth, in the working, Thoth also claims to be Hermes, thrice-born, or Hermes Trismegistus, one of the alleged founders of Free Masonry. I took the time to analyze and discuss several points from Goode's report, which can be found in the below-linked article. Goode claims that he was recently taken to the Kuiper Asteroid Belt where he witnessed a historic meeting between representatives of seven ancient Inner Earth civilizations, and a highly advanced group of extraterrestrials which Goode has previously referred to as the “Sphere Being Alliance”. The Inner Earth groups venerate members of the Sphere Being Alliance – whom they refer to as the “Guardians” – because they have been the ancient protectors of human civilizations on Earth going as far back as 18 million years. In his January 14 update, Goode refers to the Kuiper Belt meeting as the third in series of meetings that began in early September 2015, which he discussed in a report released on September 23. I have had 3 meetings where the “Inner Earth Breakaway Civilizations” were present. In one such meeting we met at a base in the Kuiper Belt where representatives of these breakaway groups finally had their chance to meet with the “Guardians”… Gonzales and I stood there for the entire meeting exchanging perplexed glances as the “Guardians” and the breakaway civilization representatives interfaced. They stood there silent and motionless accept for the slight waving of arms and legs of the “Guardian”. I asked her how it went and she replied that her group and some of the more negative groups that had formed this ancient breakaway council had “not been proper stewards” of this planetary sphere. She was in an extreme hurry to get back to the meeting where the rest of the ancient breakaway groups were gathered. Goode’s revelation that the “Guardians” told the Inner Earth beings that they have “not been proper stewards” is very significant. It suggests that the Inner Earth beings were being taken to task for one or more of their long standing policies dating back millennia. According to Goode’s September 23 report, these could well include collaborating with elites from Secret Societies manipulating surface humanity, yet maintaining strict separation from the rest of humanity, and their emphasis on maintaining genetic purity by isolating themselves.